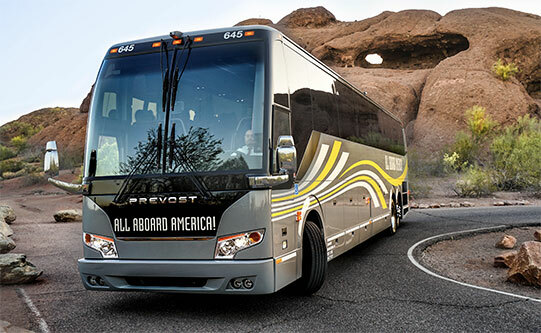 Our full-size Prevost luxury touring motorcoaches are built for comfort, with reclining seats and large windows for seeing the most of our beautiful country. 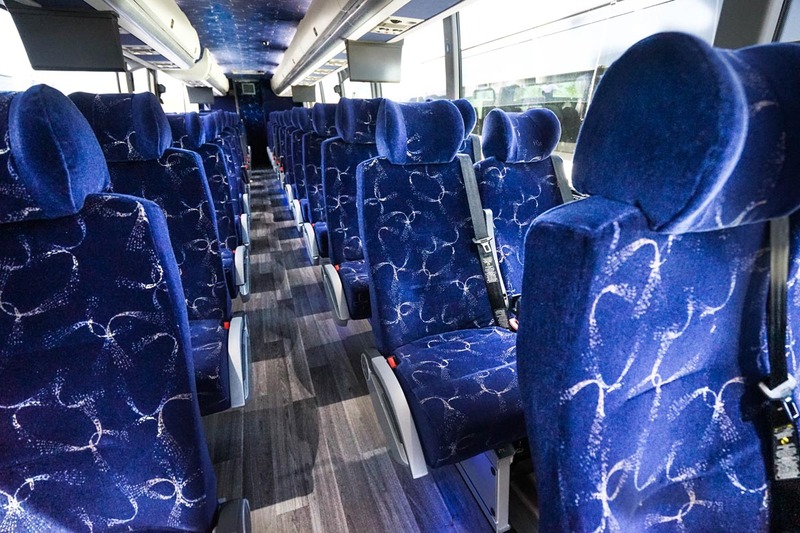 This coach has a spacious interior with comfortable seating, making it perfect for your medium to large sized group. 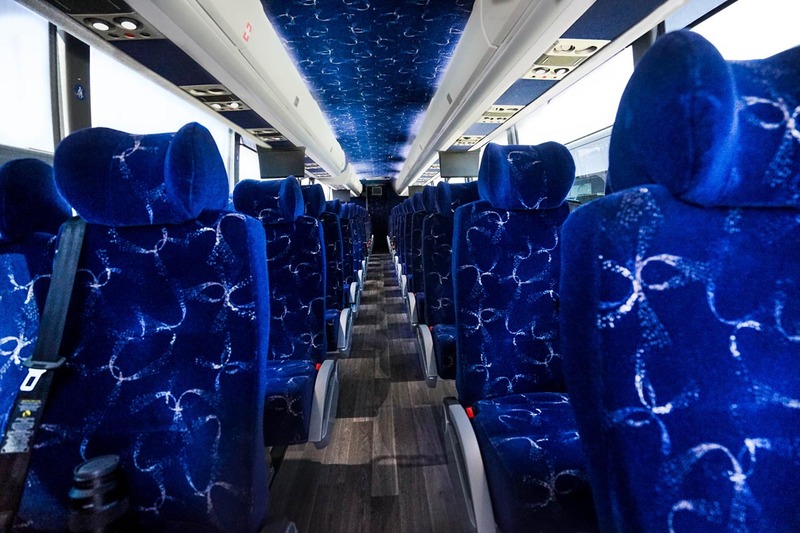 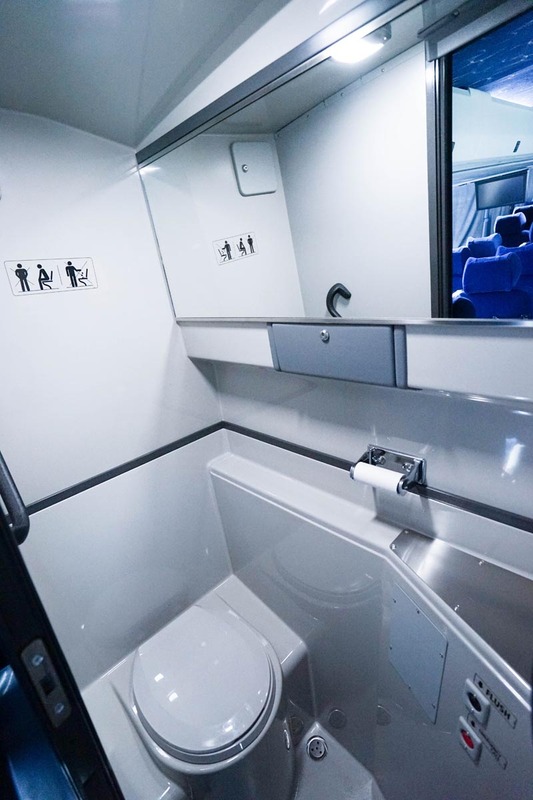 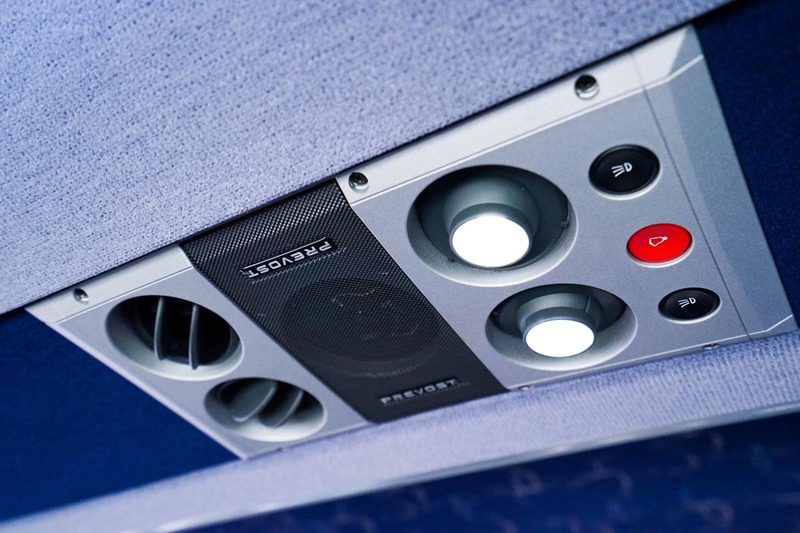 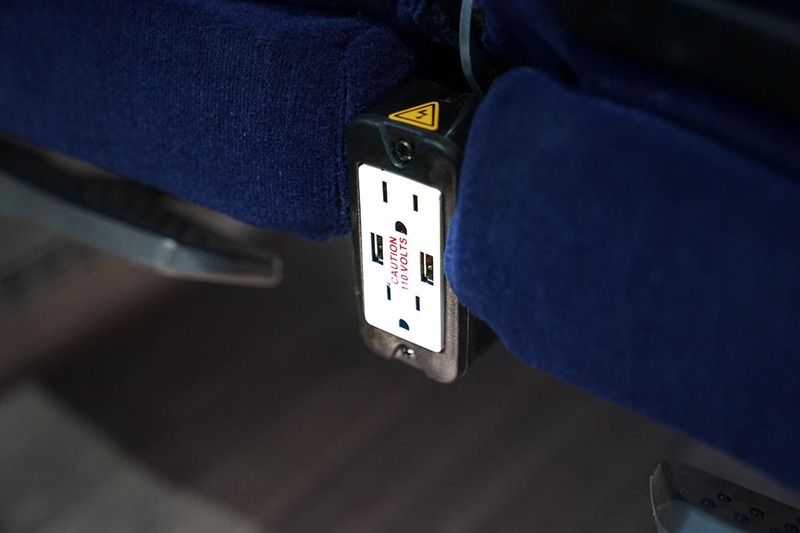 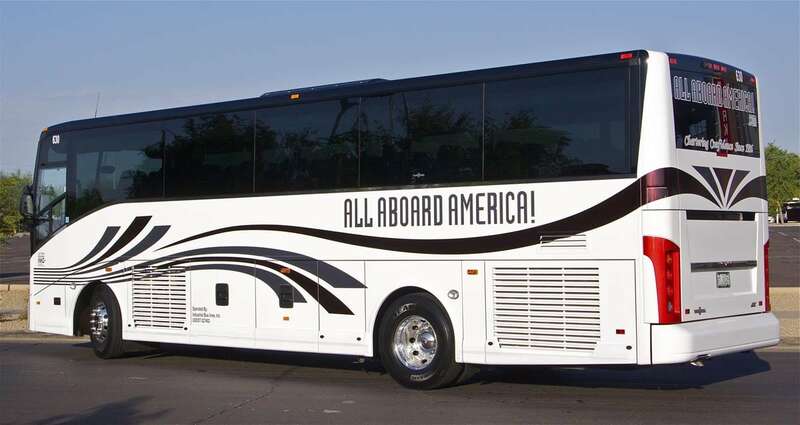 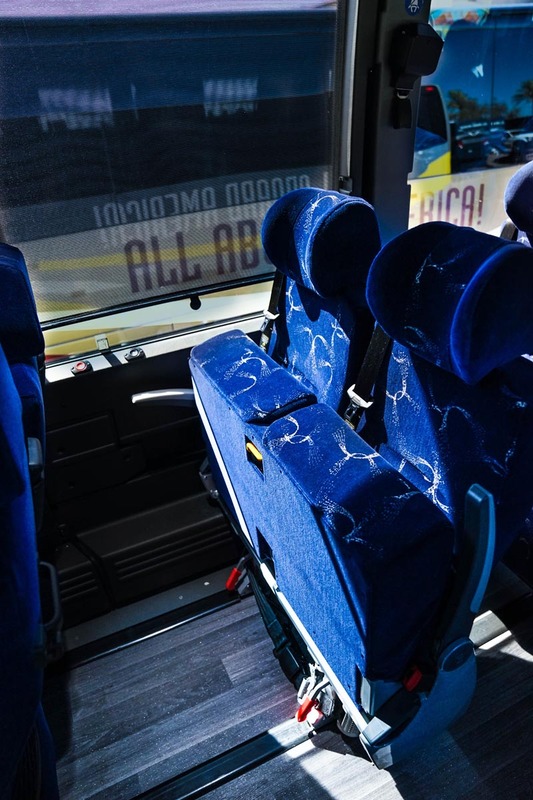 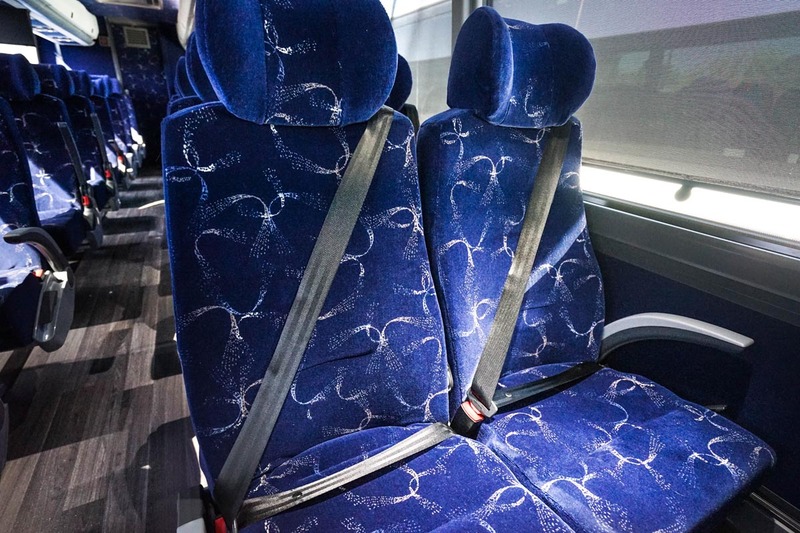 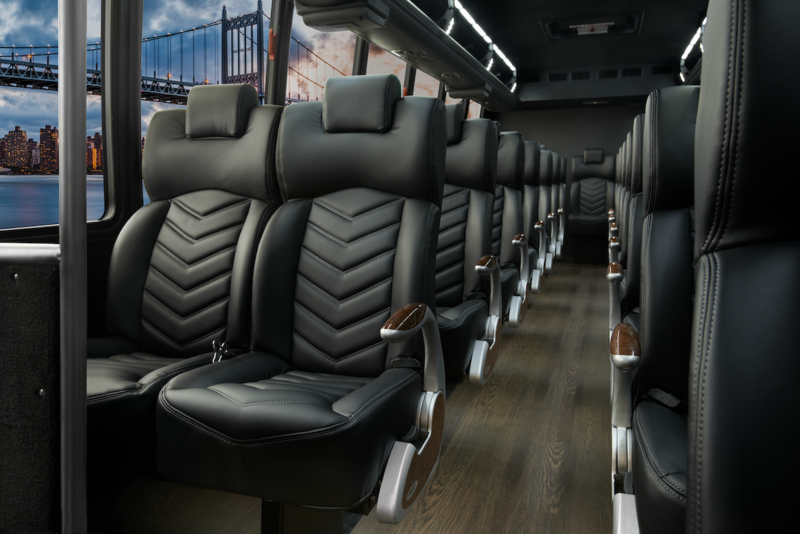 With all the amenities of a full size coach, you’ll be traveling in style. 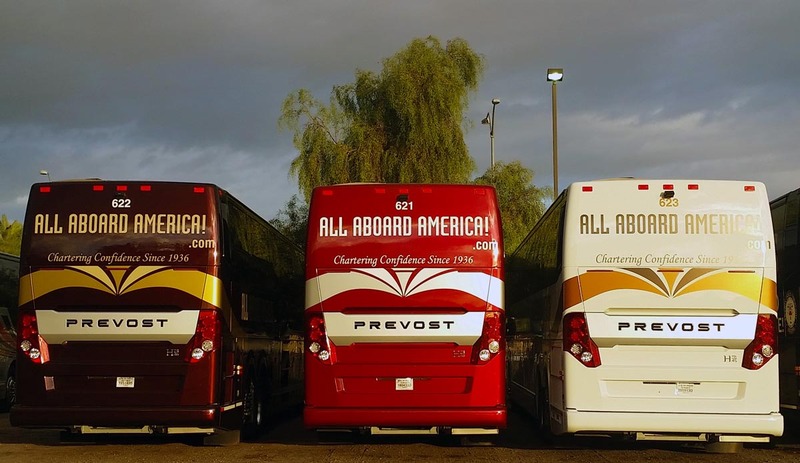 *All sizes and amenities are not necessarily available in all locations. 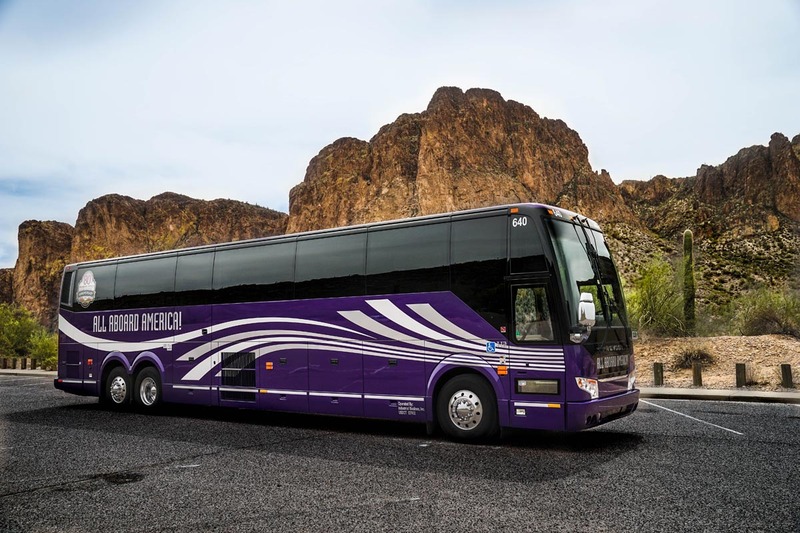 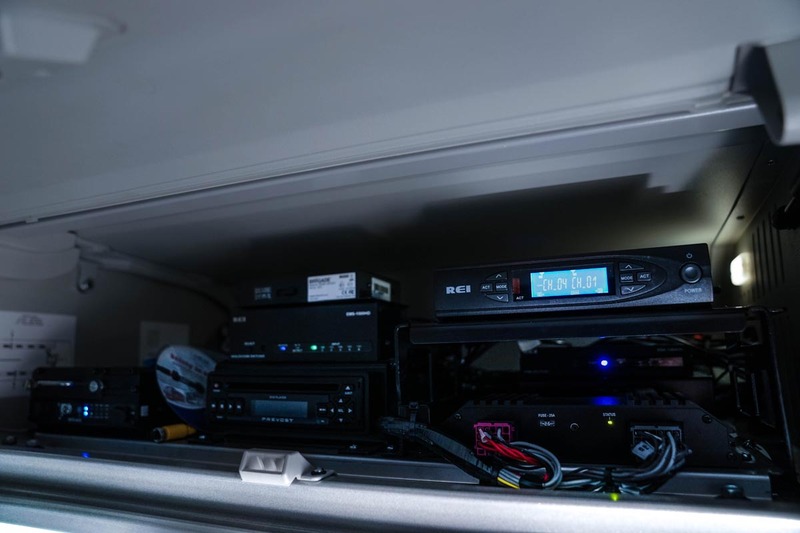 *Equipment varies by location and some options are based on availability and are limited. 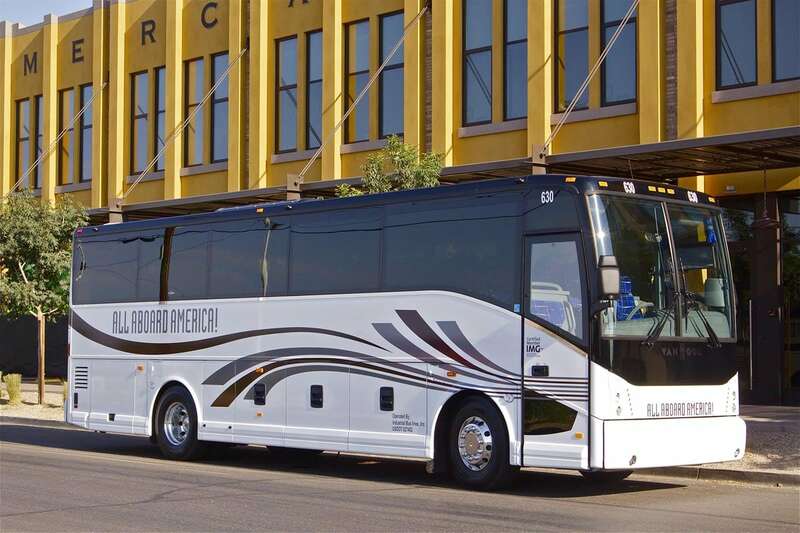 This modern and comfortable GM 36 mini coach is perfect for moving medium-size groups short or long distances. 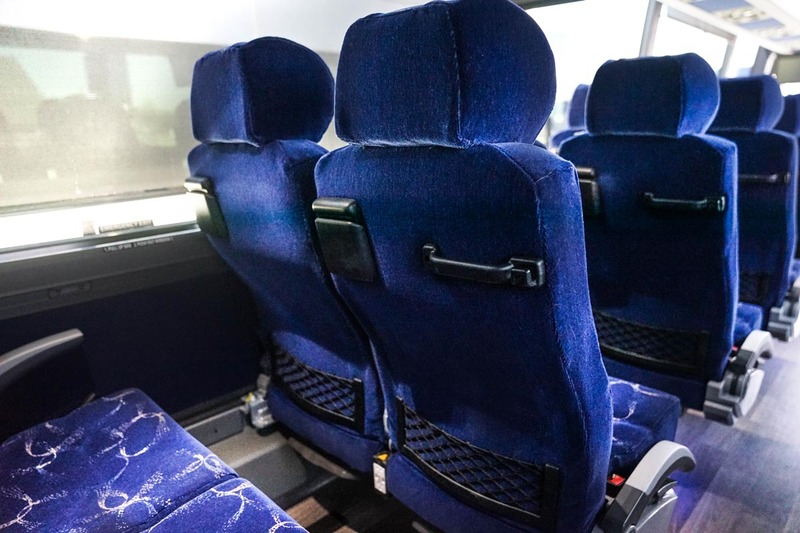 With panoramic viewing windows, LED lighting, and premium leather interior, it has the luxury amenities you need to travel in style. 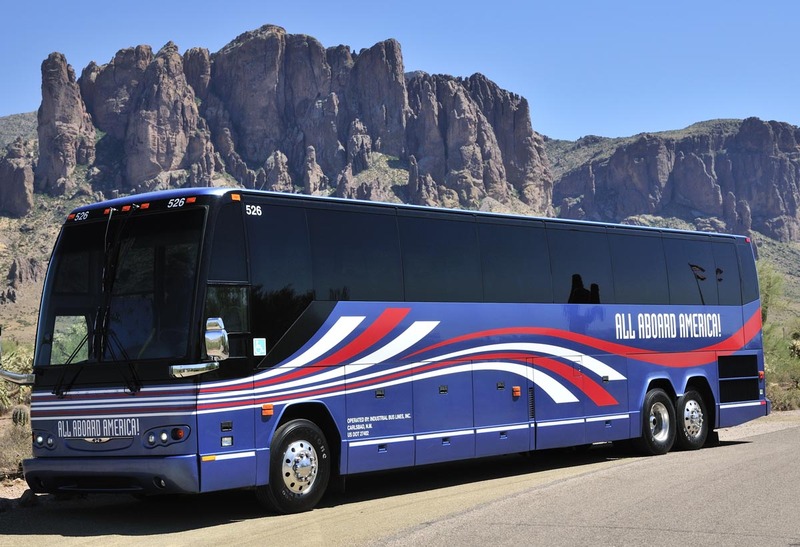 -La Cholla Metro Tech H.S. 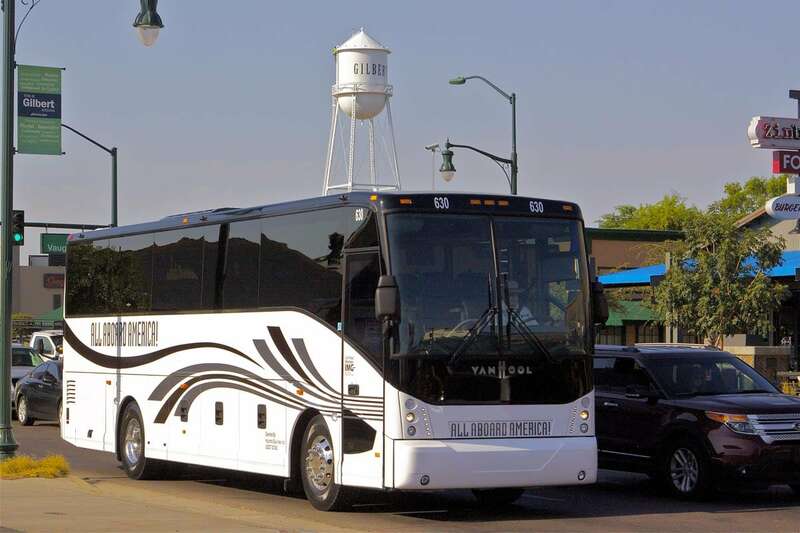 -Tam Chavez, Tour New Mexico, Inc.